Facebook CEO Mark Zuckerberg had his first-ever public Q&A on Thursday. 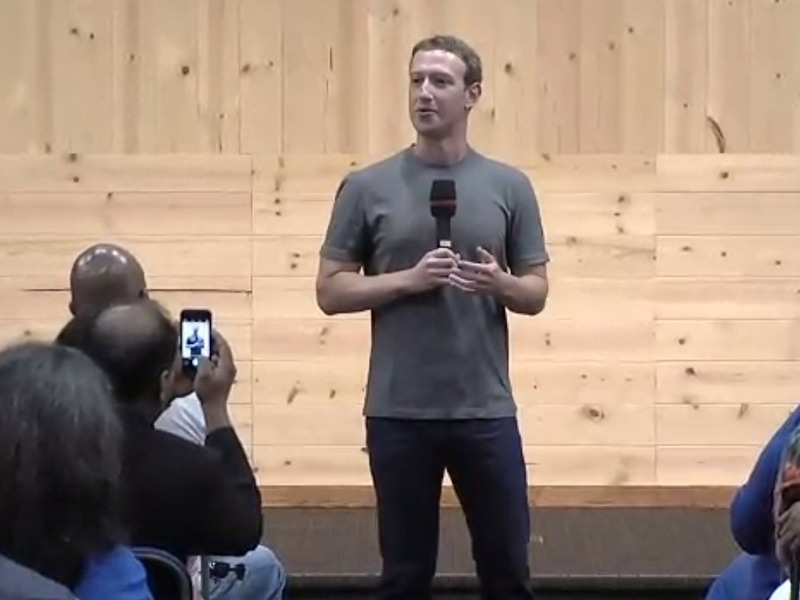 For those who haven’t noticed yet, Zuckerberg wears the same grey T-shirt at most public events. While many expected a playful response, Zuckerberg gave a pretty serious answer for his penchant to wear the same grey shirt. He said even small decisions like choosing what to wear or what to eat for breakfast could be tiring and energy consuming, and he doesn’t want to waste any time on that. “I’m in this really lucky position, where I get to wake up every day and help serve more than a billion people. And I feel like I’m not doing my job if I spend any of my energy on things that are silly or frivolous about my life,” he said. Zuckerberg pointed out that a number of other influential people, like Apple founder Steve Jobs or President Barack Obama, have the same theory with regards to choosing their outfits. Jobs, in fact, told Walter Isaacson in his biography that he even wanted to have all Apple employees wear the same vest.